The last quarter of 2018 saw oil prices down to around $54/b. 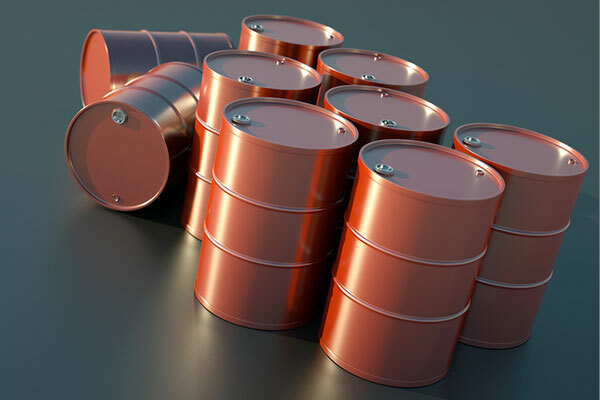 Oil prices are likely to trade between $60-$70 per barrel (b) range by mid-2019, barring sharp economic slowdown, said Arab Petroleum Investments Corporation (Apicorp), a multilateral development bank, in a new research report on the global oil market. The last quarter of 2018 was quite tough for oil markets worldwide. After a sharp rise in the oil price to $85/b in October 2018, overall sentiment became bearish and 2018 ended on a lower note with oil prices down to around $54/b. “As market fundamentals re-assert themselves, the oil price will recover some of its current losses and our base case forecast is for the oil price to trade between the $60-70/b range towards the second half of the year, barring a sharp slowdown in the global economy. As we enter the new year, there are growing concerns about the broader macro environment and the rise of protectionist policies, which are impacting oil demand. “The dynamics of oil prices in 2019 will also depend in large part on Opec+’s effectiveness in implementing the cuts, balancing the market and reinforcing the credibility of their signals,” Ansari added. The stability in oil market fundamentals and expectations was disturbed in May 2018 when President Trump announced the US withdrawal from the Joint Comprehensive Plan of Action (JCPOA) re-imposing sanctions on Iran. This resulted in tremendous uncertainty in the market, especially around the size of the potential loss of Iranian barrels. Alongside the continuing decline in Venezuela’s production and other output losses in Libya and Canada, the supply picture looked very bleak, especially given expectations of robust demand growth in the second half of 2018. As a response, Brent prices started rising in May and June trading above $75/b towards the end of June/early July. To prevent prices from rising sharply, Opec+ decided to send a strong signal to the market, by injecting more supply into the market. The first surge in output occurred in May 2018, which saw the core GCC (i.e. Saudi Arabia, UAE and Kuwait) and Russia output increase by 0.7 mb/d in the months of May and June. This helped ease market concerns and prices fell temporarily in the months of July and August reaching low $70/b in mid-August.